Can you identify the people in the photograph? 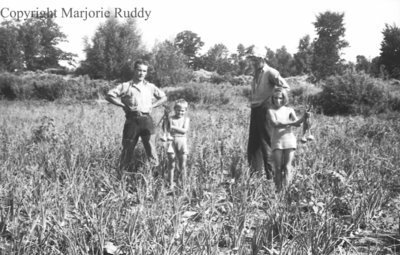 A black and white negative of four unidentified people (presumably the Collin's family) standing in an onion field. The two children are holding up onions. Collins Onion Farm, August 17, 1938, Marjorie Ruddy. Whitby Archives A2013_040_864D.